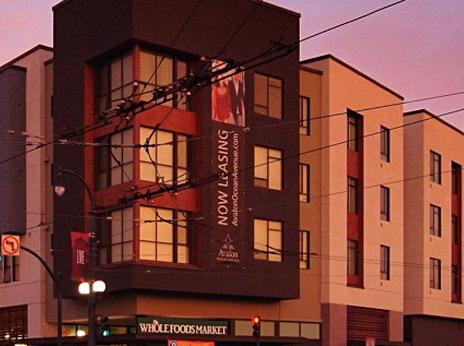 Whole Foods Market selected a Gaco LM 60 modified urethane membrane waterproofing system for installation in their store at 1150 Ocean Avenue, San Francisco. This installation prevents water leaking from food processing areas into the underground parking below the store area. The Gaco LM 60 system utilizes a flexible neoprene flashing detail at perimeters and penetrations. This installation comprises over 6,000 square feet of the store area.